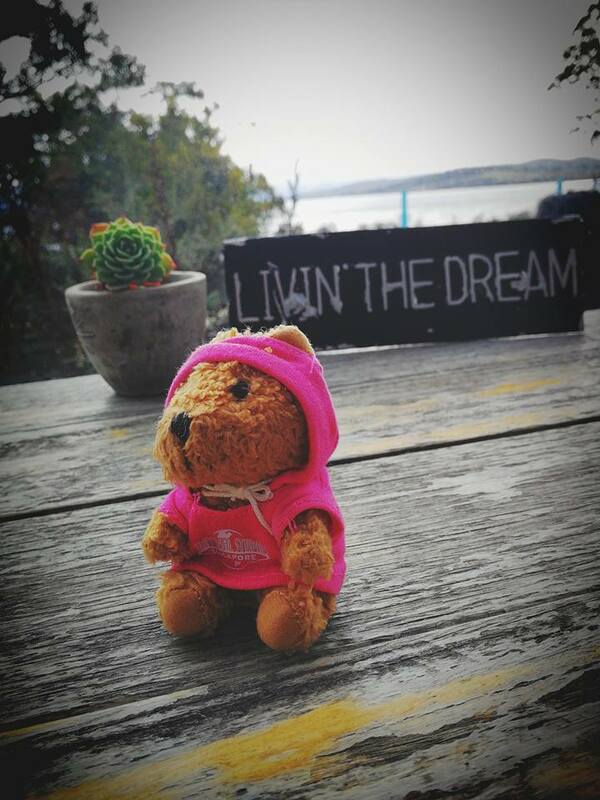 Address: 1735 Bruny Island Main Road, Bruny Island, Great Bay 7150, Tasmania, Australia. It was a day trip to the Bruny Island in Tasmania, Australia by taking our car onto the ferry service at the Kettering Port. I was not able to recall when was the last time I took a ferry from one place to another place. It was about 11am before we reached the port and queued to get on board. The weather was good, sunny and not windy when we arrived. However, when it was about to board the ferry, the weather changed and upon reaching the island, it was cloudy and occasionally drizzling. We made a few stops in the island and we did not travel the whole island for visit. 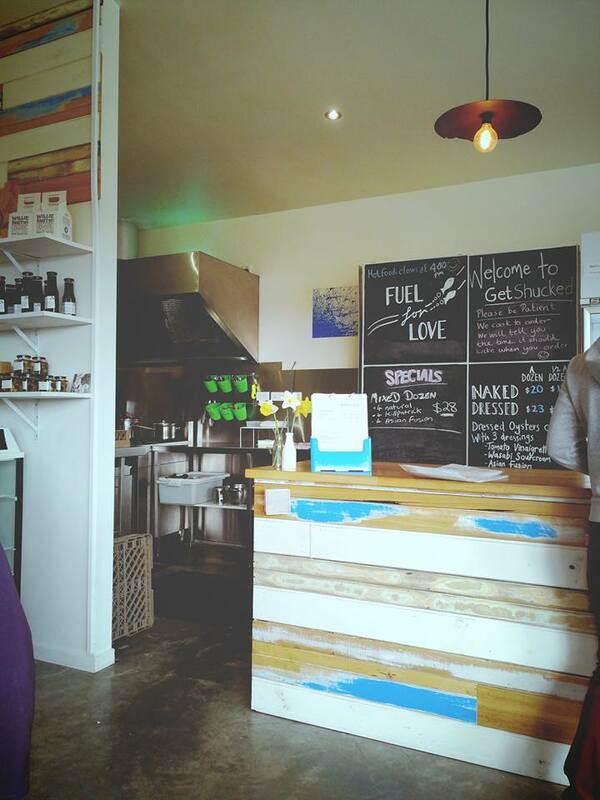 We stopped by Get Shucked Oyster Farm, one of the recommended places to visit in Bruny Island for our oysters and of course, our lunch. We went to its restaurant which is located at entrance of the farm. We did not get to see how they process the oysters at this restaurant which I felt it was kind of disappointed. However, their food is great, fantastic and satisfying. 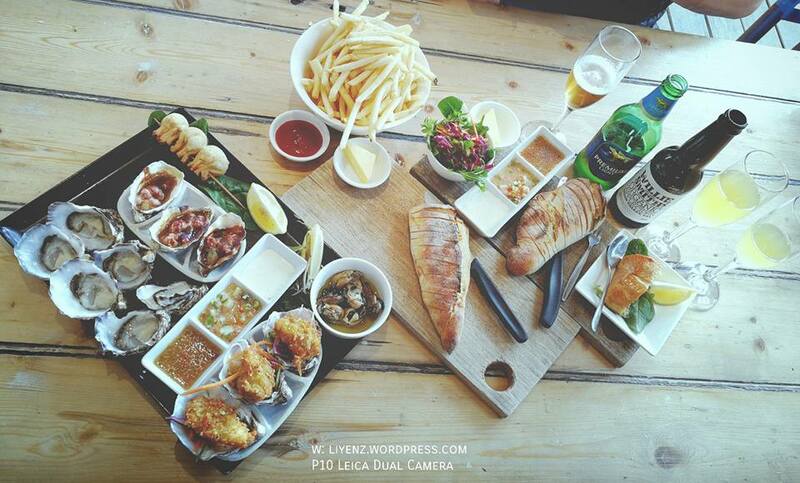 We ordered the oysters platters and a salmon and some drinks to be shared. We thought that we would be moving around in the island and kept trying all the food in different restaurant. So, we just ordered these two. 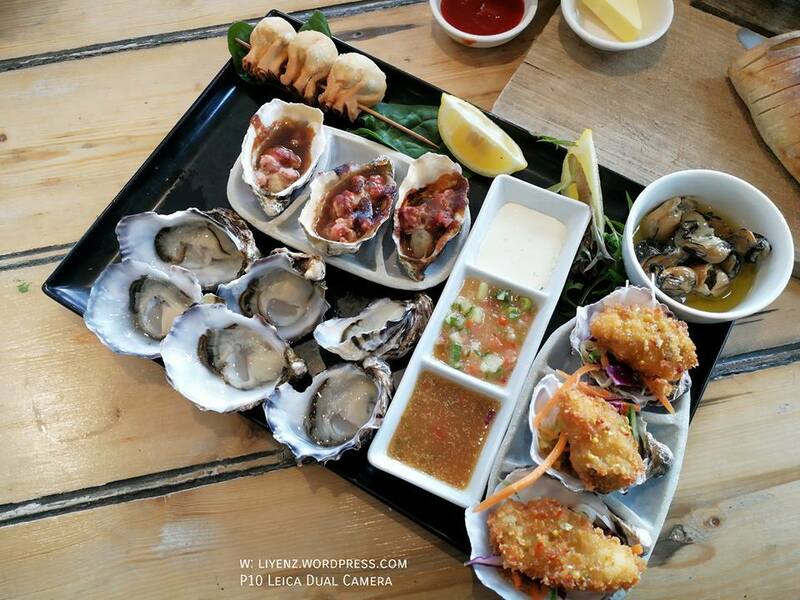 The oysters platter which consists of half a dozen of fresh, medium sized oysters and others are the cooked oysters in various styles. All these oysters go well with their sauces or you can just eat the oysters without dipping into the sauce. The original taste of the oysters is slightly tasted like sea water and did not have smell. Unlike, the oysters I eat in Singapore and Malaysia, they have some smell and have to dip with lemon. 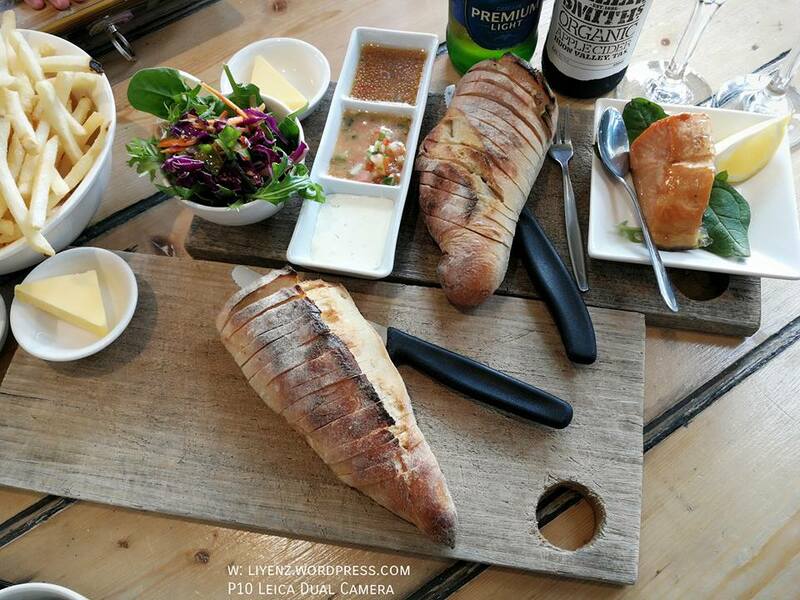 This platter comes with a loaf bread with cheese. Also, we added another main which is a salmon. The size of the salmon is quite small, definitely it is not enough for six of us to try them. Each of us just get to try a small bite of the salmon. The salmon does come with bread as well and a bowl of salad. It is supposed to be meant for a single serving which could be just good enough for a person. Since, we traveled with kids, french fries is something we cannot miss out on the table for them. They do sell some sauces and stuffs at the side of the restaurant, nothing is interesting. The interior of the restaurant is quite simple, it does not have many tables inside but they do have bigger tables and lounge area outside of the restaurant. Okay, during the winter time, no ones will be sitting there except my travel mate, where she took a picture of a wonderful quote, “Livin’ the dream”. From this angle, you may see the sea view directly. It is quite closed by.